What is your favorite paranormal romance novel published in 2011? I’m going to leave this post open to comments for the rest of the year. 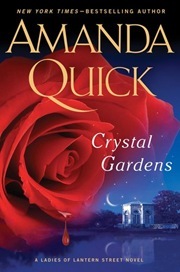 I would like to know what book you think is the best paranormal romance novel of 2011. Original publication date should be 2011 and it should not be a reprint or reissue of a book published in a prior year. That’s it! Have fun telling me and everyone else about your favorite paranormal romance read of 2011.